Students in two sections of Thayer Zaeder’s Art 402 studio ceramics course spent a memorable week in May. During their final week of classes students worked alongside five talented American Indian artists from New Mexico, exploring the intersection of tradition and innovation in modern Pueblo pottery. The Peabody Museum has a long history with New Mexico’s American Indian communities, dating back to excavations begun at Pecos Pueblo in 1915. 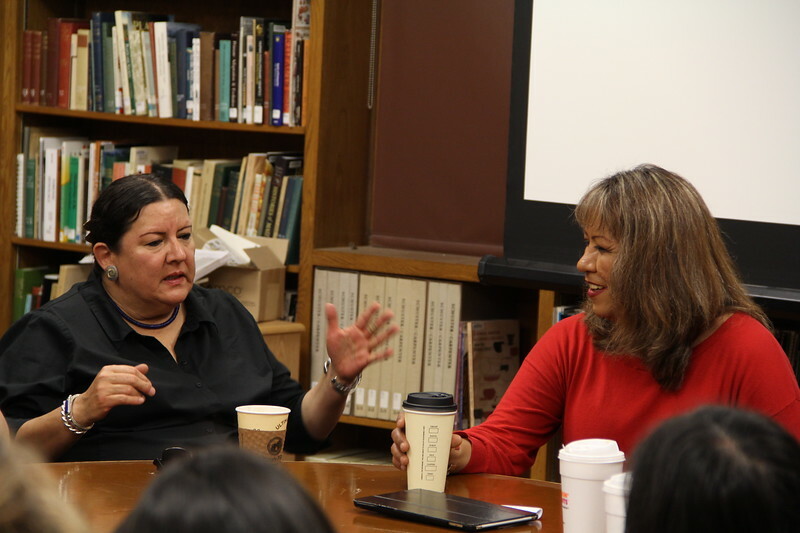 Over 100 years after that dig, descendants from the Pueblo of Jemez now regularly visit Phillips Academy to work with students. Dominique Toya, her mom Maxine, and sister Mia have distinctive pottery styles, ranging from Dominique’s swirled melon bowls, to Maxine’s owls and town crier figurines, and Mia’s lidded vessels. Students had an opportunity to make their own pieces alongside Dominique, Maxine, and Mia using native clays from New Mexico, and traditional decorative techniques of painting and polishing. The week began with Dominique, Maxine, Mia and their friends and collaborators Nancy Youngblood and Chris Cutler from Santa Clara Pueblo examining pieces in the Peabody collection and sharing about their artistic tradition and inspiration. Students then decorated their own handmade pieces with careful guidance from the visiting artists. All pieces are made by hand (no wheel thrown pieces) and decorated with traditional pigments; high gloss is achieved with stone polishing and sparkling surfaces are created with a mica slip. The week culminated in two traditional outdoor firings. Glossy reds and shimmering black pots and figurines emerge as the fires die down. This program is a marvelous collaboration between the Phillips Academy art department, the Peabody Museum, and five incredibly talented Native artists. Students walk away with a unforgettable keepsake of their time, as well as a greater appreciation for contemporary American Indian art and culture. We are grateful to Barbara and Les Callahan ’68 for underwriting this experience.